75225 Elite Praetorian Guard Battle Pack is a Star Wars set released in 2019. The Last Jedi Elite Praetorian Guard Battle Pack with 4 minifigures. 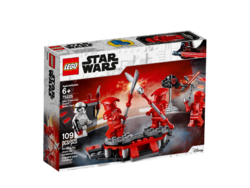 Facts about "75225 Elite Praetorian Guard Battle Pack"